It is common knowledge that Chick-fil-A restaurants are closed on Sundays. 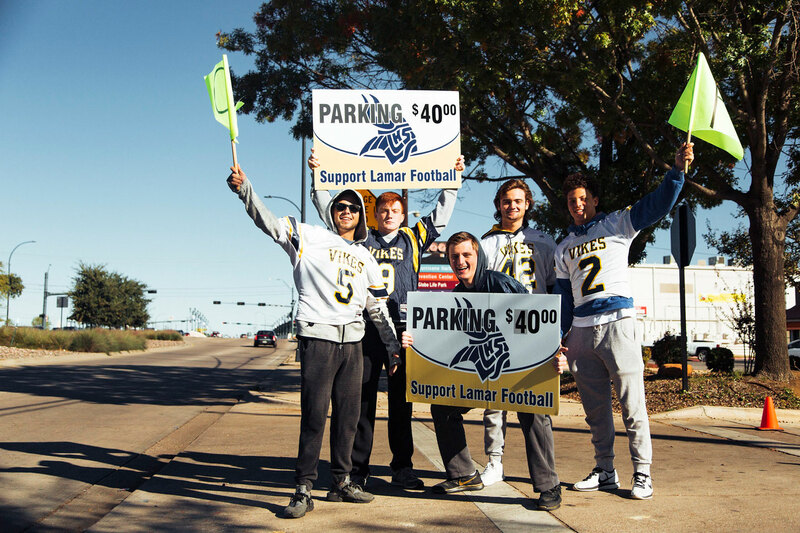 But drive by the restaurant in Arlington, Texas during football season and you will see the parking lot transformed into a hive of team spirit, anticipation, and blurs of navy blue, silver and white. A few years ago, the restaurant’s owner, Carmenza Moreno, turned the longstanding Sunday policy into a unique opportunity to give back to the community she has lived in and served for more than a decade. Moreno’s restaurant sits just three blocks from AT&T Stadium, home of the Dallas Cowboys. When the huge 80,000-seat domed structure opened in 2009, Moreno was advised to barricade her parking lot and hire security guards to keep the property safe and clean during Sunday home games, when tens of thousands of ticketholders and tailgaters descend on the area. “Barricading the parking lot seemed a little unfriendly and anti-community in spirit,” she explained. Instead, she realized she could do something even better. “I thought I could use the empty parking lot so somebody in the community could benefit from it,” she said. Her idea: let a local community group sell the coveted parking spaces during football season when the restaurant was closed as way of raising money. All proceeds would go to the participating charity. 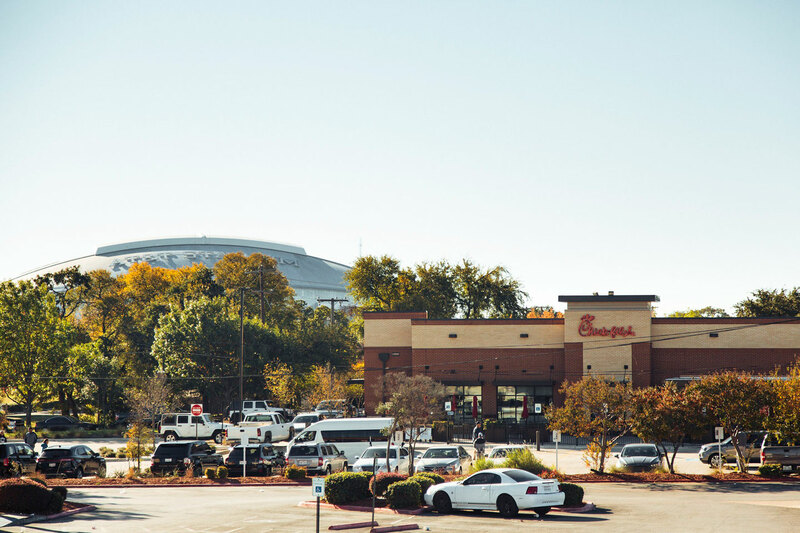 Moreno, who began working at Chick-fil-A in 1993 as a restaurant team member and has been the local owner of the Arlington restaurant since 2006, started approaching local community groups with her idea. No one accepted the offer at first, until she broached the subject with a regular customer -- a father whose daughter played soccer at nearby Lamar High School. Now there’s a waiting list of non-profit groups that want to participate. “It was a grassroots kind of vision, and it has just blossomed,” notes Beth Ann Jones, the restaurant’s marketing director. In the four years since the parking lot fundraisers began, the local restaurant has generated more than $62,000 for Arlington-area organizations, Jones said. Big Brothers Big Sisters, a national mentoring network that matches adults and youths, raised more than $17,300 during its season running the parking lot, said Jenny Harper, the group’s senior director of program services. The extra money helped fund community activities like bowling and golf events, college tours and a conference for teens promoting career and college options and personal wellbeing. Big Brothers Big Sisters went on to nominate Moreno for an outstanding local citizenship award, citing in its letter to Arlington’s city council her consistent support of BBBS through events such as its workforce readiness programs and the parking lot fundraiser. 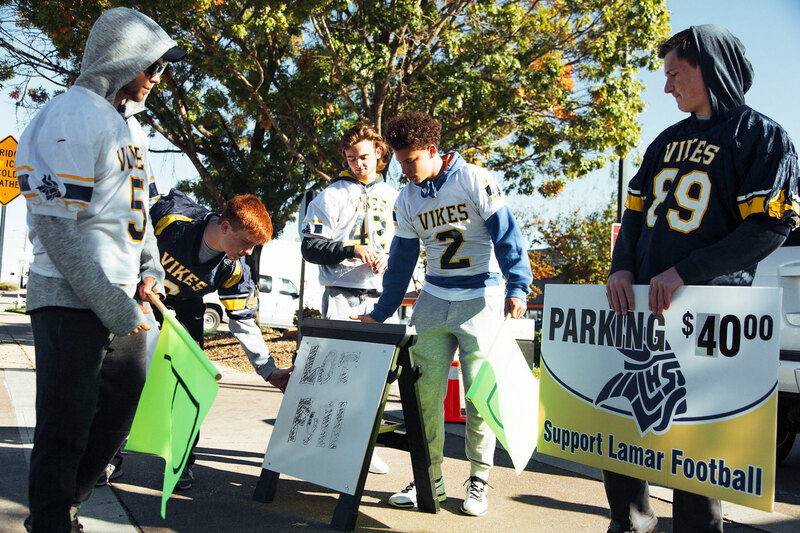 This football season, Moreno selected Lamar High School’s football booster club to run the parking lot on game day Sundays. For the Dallas Cowboys’ first game of the season, the team sold out all 94 parking spots, raising nearly $3,000, Jones said. Moreno was there to support the group -- a tradition she established for the first game day of the season.